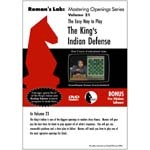 In Volume #21, The King?s Indian is one of the biggest openings in modern chess theory. Roman will give you the best lines for Black to play against all of White?s responses. This will get you reasonable positions and a clear plan to follow. 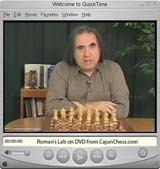 Roman will teach you how to play one of the most aggressive openings for Black.